I recently inquired a paint recall with my Honda. Expecting a lengthy and exasperating process, to my surprise it was totally opposite at Renaldo Honda. Customer Service was SUPERB!!! The professionals took a look at my car, completed all necessary paperwork, and my car was scheduled for paint within 3 days!!!! My car looks brand new!!! 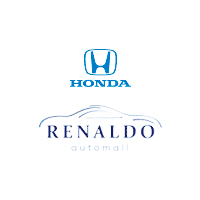 I am totally satisfied and can assure you that Renaldo Honda is where I will definitely be buying my next car!!! Thanks Renaldo!!!! Parts guy is knowledgeable and great example of customer service. Curtious attentive staff. Very direct, an quick to deal. This seems to be an excellent place to engage in your business needs when purchasing a new car. I feel they have what you need. I just had an experience buying a new Honda at Renaldo, and the manager Ken was great and very helpful. Very professional. I will definitely be back, and recommend friends and family. The sales guy that I had was also great. Him and Ken worked together to make it smooth for me. GREAT PLACE TO WORK AND BUY A CAR!! !